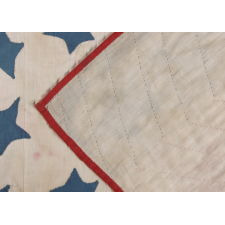 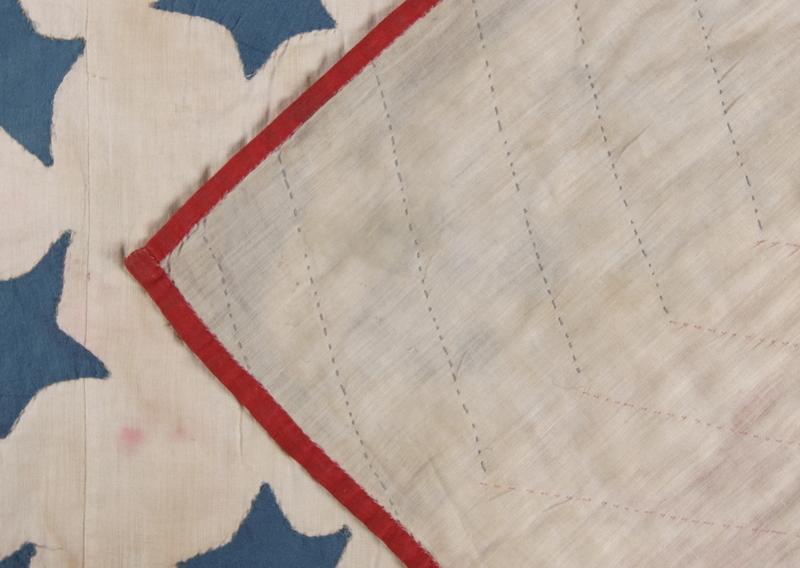 Dimensions (inches): 76" x 74.5"
American patriotic flag quilt with 44 blue stars on a white ground, set within a field of 13 red, white, and blue stripes. 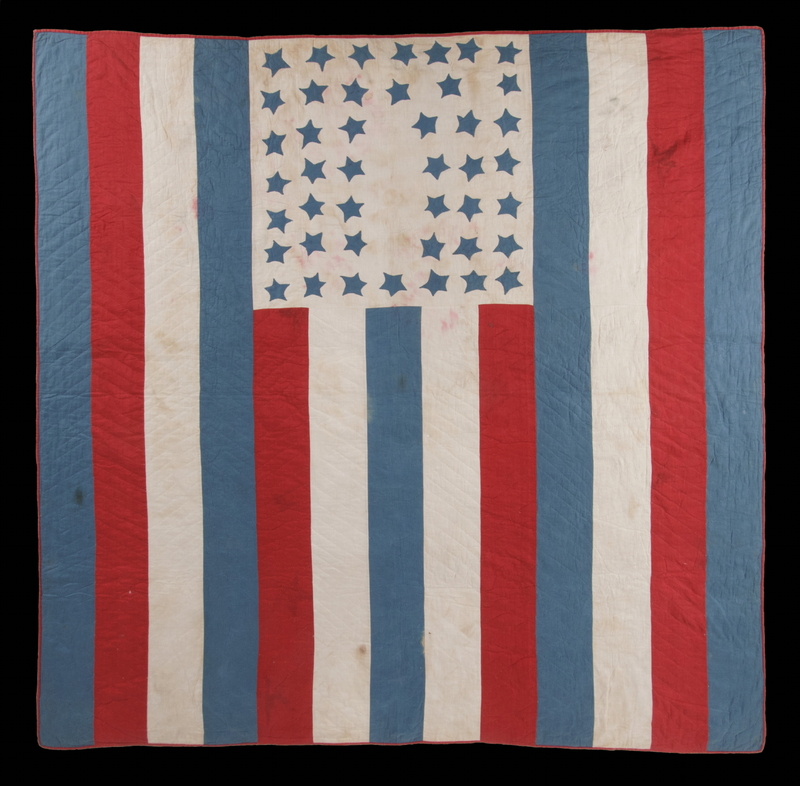 Made ca 1890-1896, the measurements are ​76" x 74". 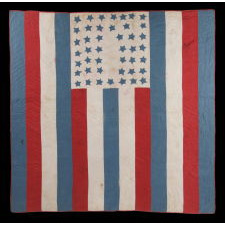 Wyoming became the 44th state on July 10th, 1890. 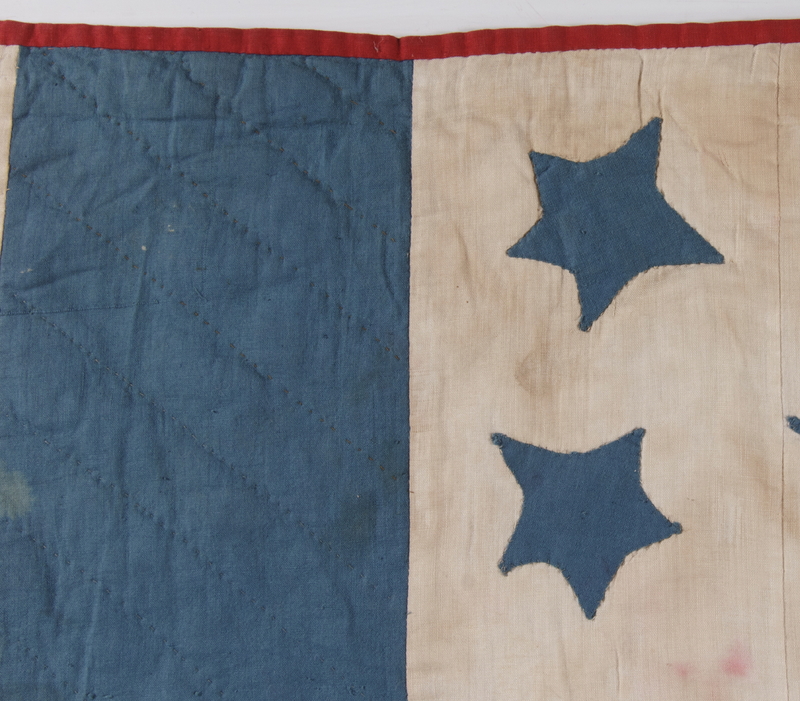 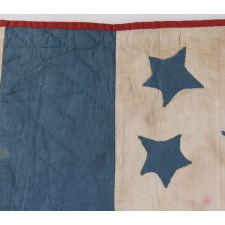 Even though the 44 star flag was not official until July 4th, 1891, most flag-makers would have begun to add a 44th star to their flags as soon as Wyoming declared statehood, or perhaps even before the state was actually added.